Andy Stelman says the new government of North Macedonia must not forget the importance of the Ohrid framework agreement. And Alexandar Sapkaroski says Greece never had a territory called Macedonia prior to 1913. As someone who recently participated in a two-year EU-funded criminal justice project in North Macedonia, I would endorse the sentiments expressed by the 46 signatories of the letter saying that the historic deal on shared Macedonian identity must be honoured (21 July), and praise the courage of both Greeks and Macedonians in seeking a resolution to their protracted dispute. This could never have happened under the previous corrupt regime of Gruevski and his VROM party. 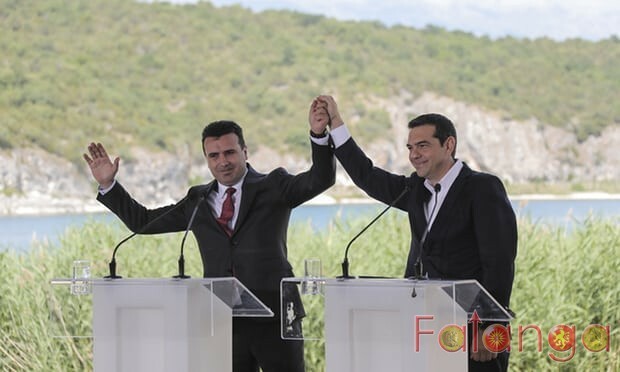 The new government of North Macedonia must not forget the importance of the Ohrid framework agreement (implemented in 2001 to help stabilise the country after the ethnic riots of the previous years). Albanian Muslims make up nearly 25% of the total population, and the framework stated that the multi-ethnic character of Macedonia’s population had to be reflected in its public life. The agreement was the stimulus for the founding of an Albanian-speaking university (South-Eastern European University, based in Tetovo and with a campus in Skopje), funded by US aid and other donors. It will be important, as the Greek-North Macedonia negotiations take place over the coming months, that both parties acknowledge and accept the terms of the framework, and that the Albanian Muslim population continues to be accorded the respect and the educational and other social opportunities enshrined in the framework. 1. Greece never had a territory called Macedonia prior to 1913. 2. In 1913 Macedonia was politically divided under the Bucharest treaty, hence Greece obtaining Aegean Macedonia, over 52% of the original territory. 3. After the occupation in 1913 Greece named this part of Macedonia as Northern Greece and appointed a minister of Northern Greece. 4. Most world media fail to report that there is also a part of Bulgaria called Pirin Macedonia. It is unjust not only to the Macedonian community but to those around the world who want to know the truth not to be properly informed about these facts about Macedonia and the problems it currently faces.